After leaving the grace and splendour of Ljubljana , we wanted to find out what makes Slovenians such a nation of outdoor, adventurous people… but we had reckoned without the majestic, natural beauty under the earth some 50km from the capital…. 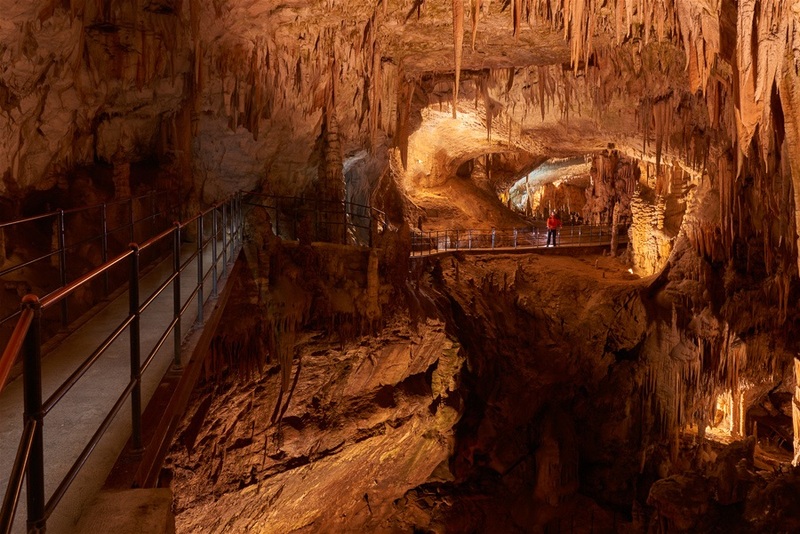 ​The Postojna Caves hold over 21km of tunnels, caverns and subterranean halls all accessed by the girl’s favourite…. 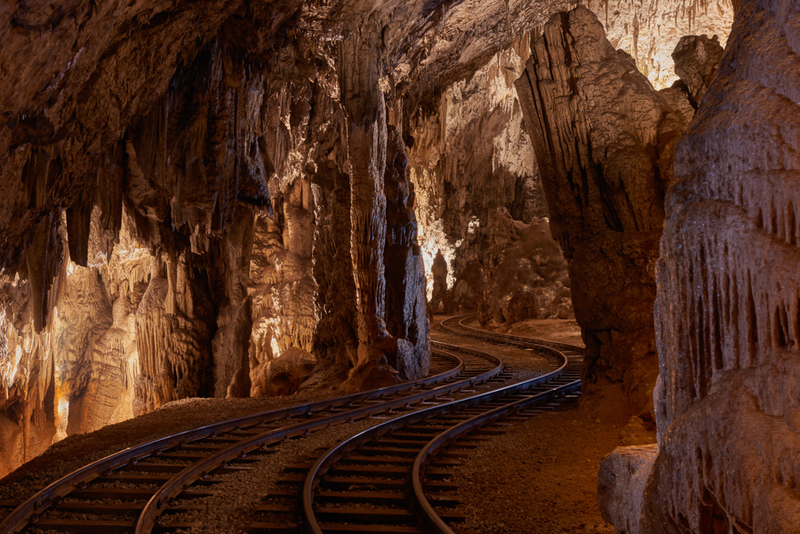 an underground double track train ride passing through some 5km of stalactites & stalagmites… full of magical shadows, brilliantly lit without becoming overly touristic. 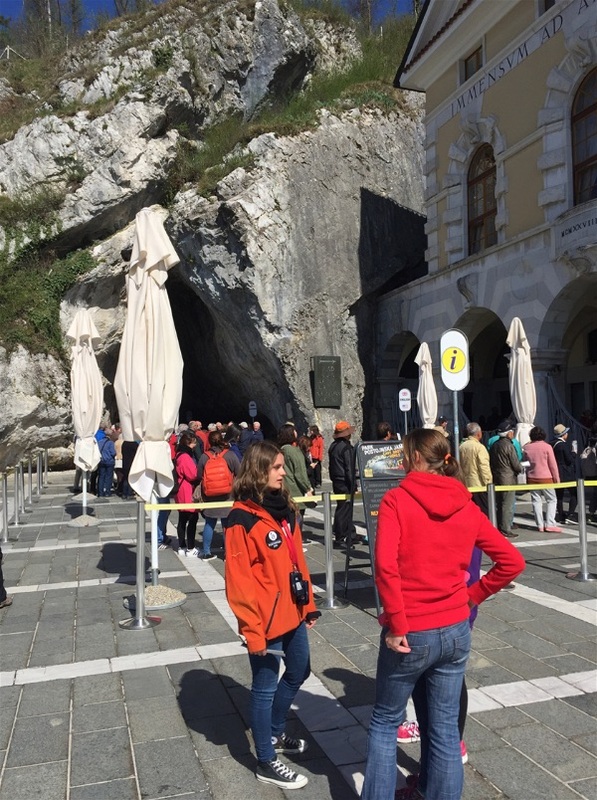 Our fantastic guide, Sara, guided us through the 2km walk underground (some 120m underground) as we trod the steps of many a famous visitor (over 150 state presidents / kings have walked here)…. 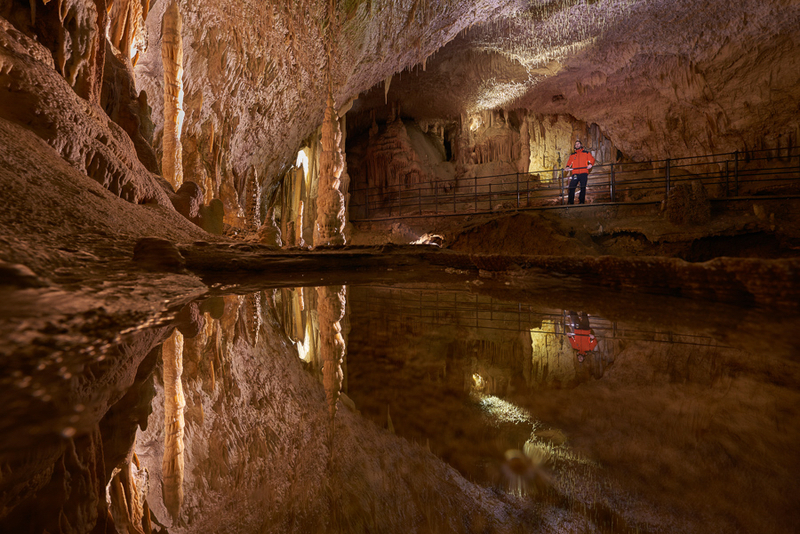 the surface includes a non stick substance that makes walking particularly easy and both girls managed the walk with ease over fantastic walk ways with amazing views of the caverns below. 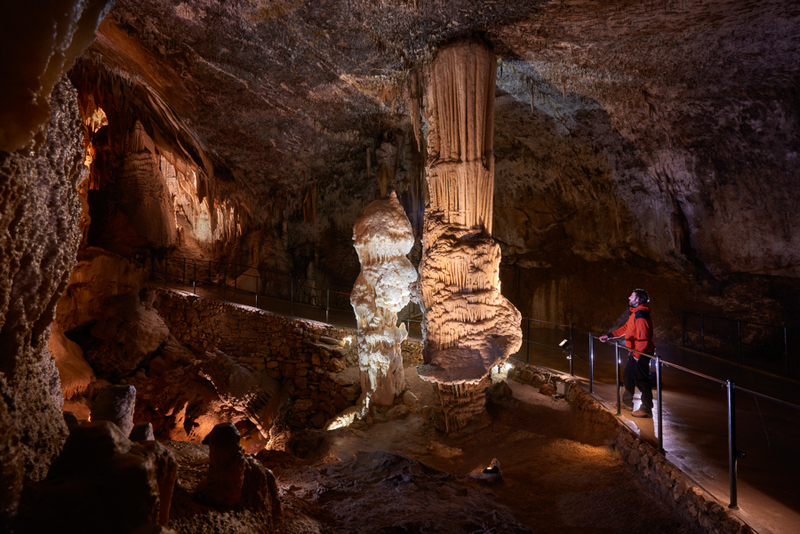 What blew our minds was the relatively small growth of these features of a Karst landscape, these stalactites only grow 1cm each 100yrs… so since the cave opened in 1818 it really has been the same view for all….. now made easier by a 100 room hotel to help cater for the 4,000 summer visitors a day!! 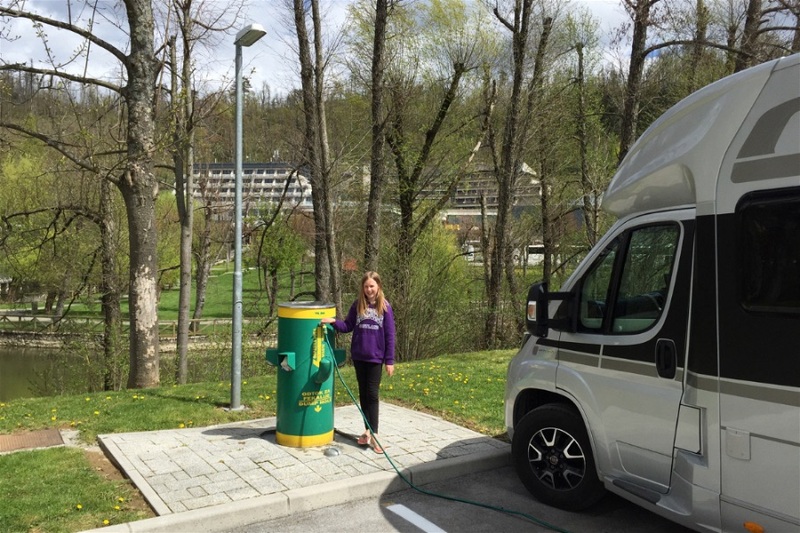 But we’d recommend the motorhome ‘aire’ which was brilliantly located 3mins from the entrance yet overlooks a pretty lake and is fully serviced.. The caves rich history extends to being owned by Italy, includes it’s own baby dragons (Proteus Anguinus – who were actually laying eggs due to hatch with 8weeks!!!) & holds the world’s only underground post office!!! Its constant 9 degrees means it is easily comfortable to do in casual daily clothing, and we enjoyed the train ride through the 40m concert hall!!! An epic candle lined chamber that has hosted many a state banquet! As we gazed in growing amazement listening to the brilliant audio guide (in 15 languages to help the 36 million visitors that have passed through it’s entrance), we passed through the ‘Spaghetti’ , ‘White’, ‘Red’ chambers with their hippo, bird and crocodile shaped rocks or under columns that sparkle due to the unique crystals that coat the columns – perhaps none more so than it’s iconic centre pieces and the pure calcium column (in the pictures below). 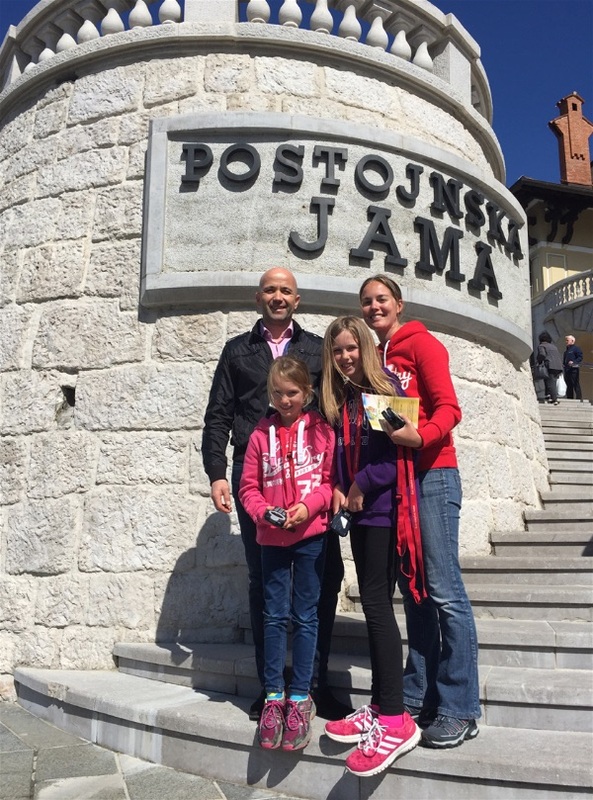 PreviousWant to know Slovenia better…. 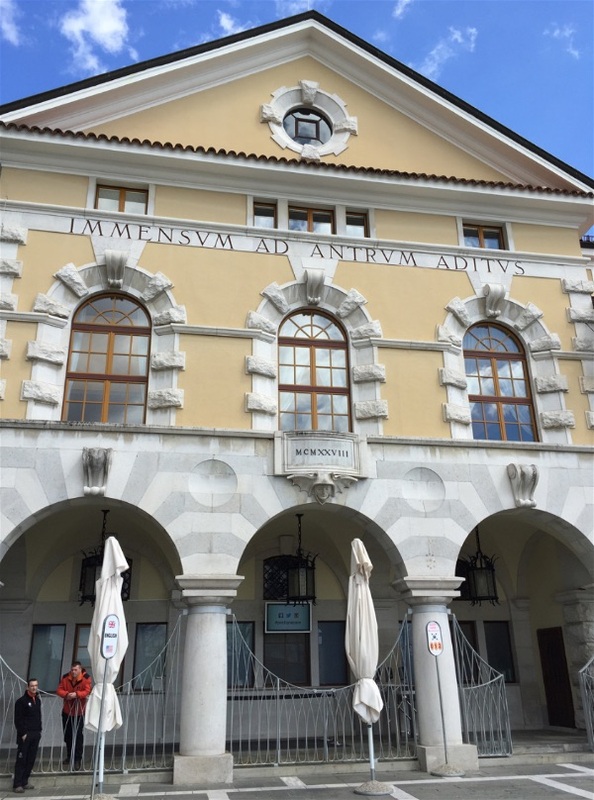 where else to start but Ljubljana!